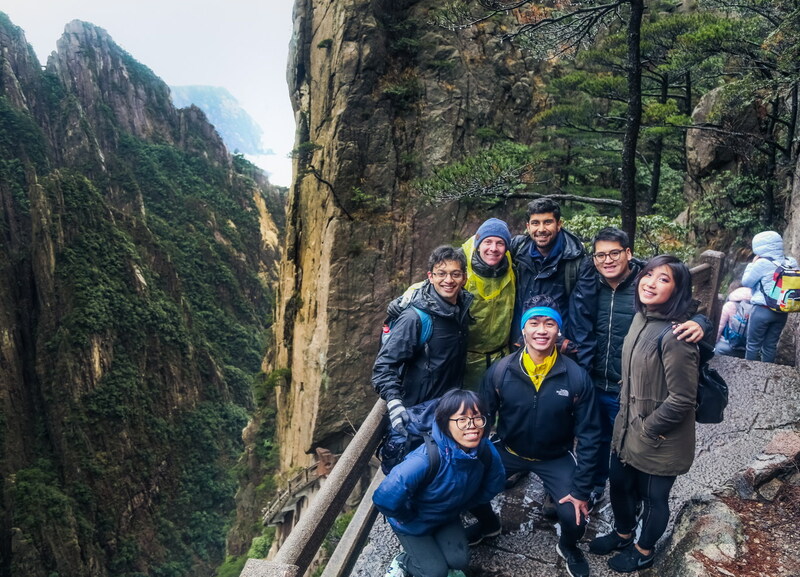 Life at JI is not just about studying; excursions throughout China are a great way to recharge batteries, build friendships and create memories that last forever. 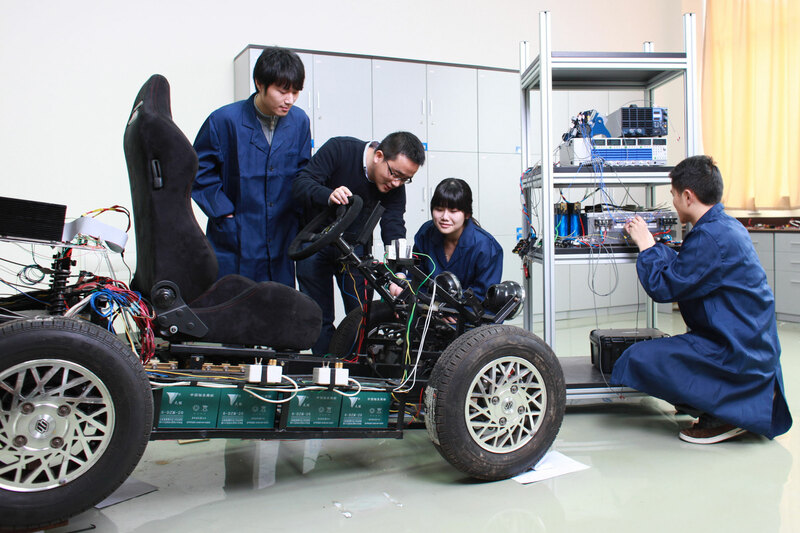 Since 2007, nearly 400 students from 20 leading universities have come to study at JI. 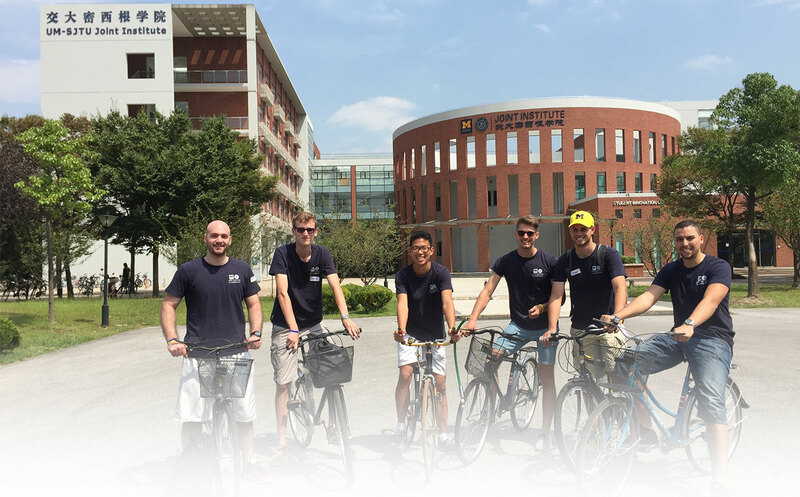 A growing list of partners trusts JI to provide a perfect study experience in Shanghai. Shanghai is the largest urban center in the world and one of the most dynamic places to live in. 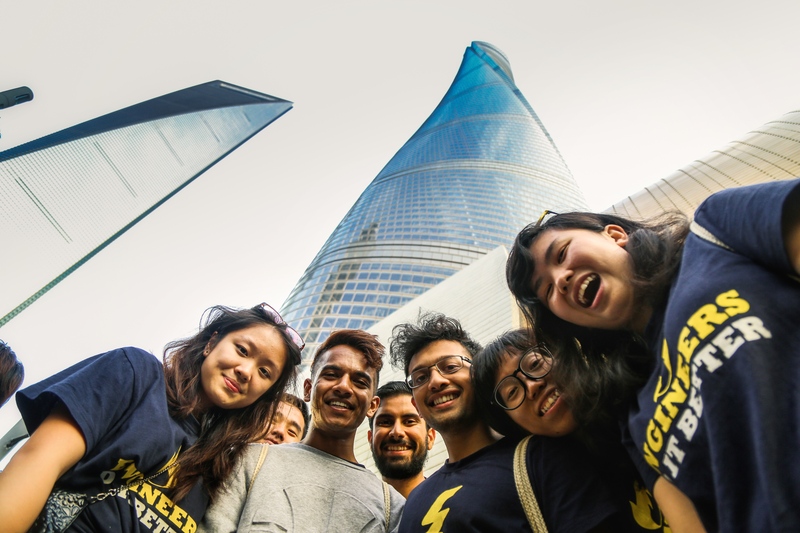 No matter where a student comes from, Shanghai will be an experience to remember. 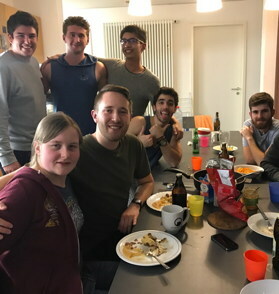 The Joint Institute mascot accompanies students as they discover new cultures throughout the world. 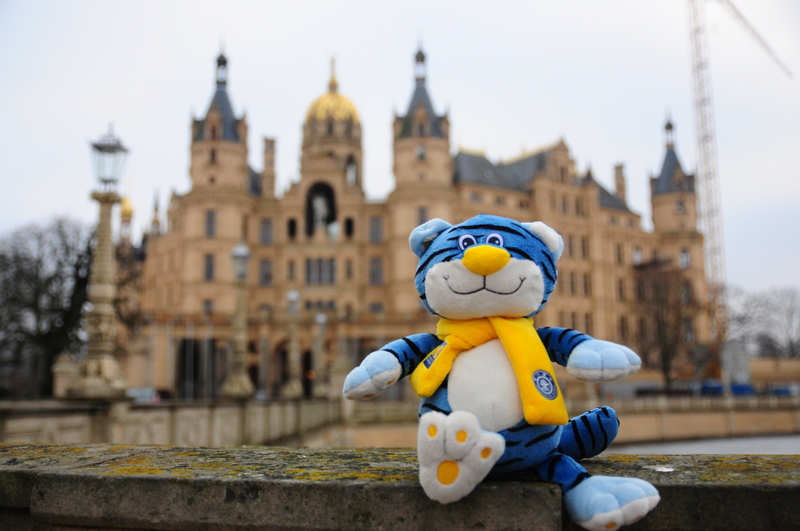 Here Blue Tiger is in Schwerin, Germany, during one of the annual Winter Program excursions. At JI, teaching and research are not viewed as separate activities, but as complementary aspects of student learning. Students are encouraged to join undergraduate research projects and laboratory courses play a crucial role in the curriculum. JI Welcomes the Fall 2017 International Exchange Students! 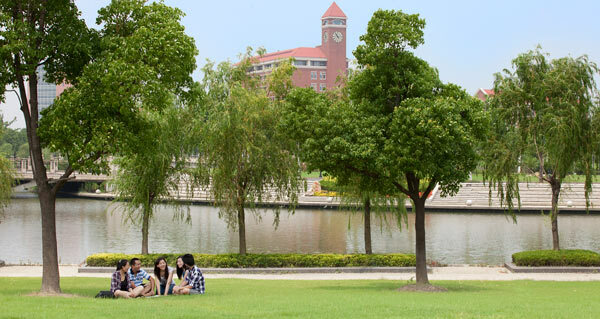 The Joint Institute is located in the center of the SJTU campus in the Minhang district. 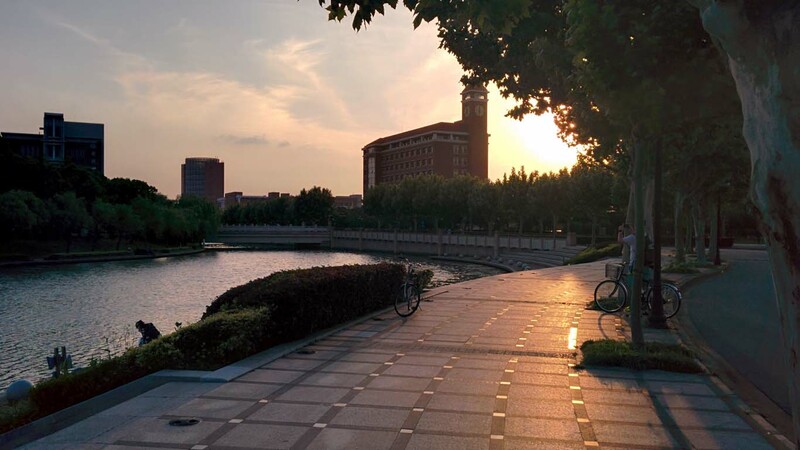 The campus is the largest in all of China, with more than 30,000 students living and studying in a generously laid-out and pleasant area, a small town in its own right. 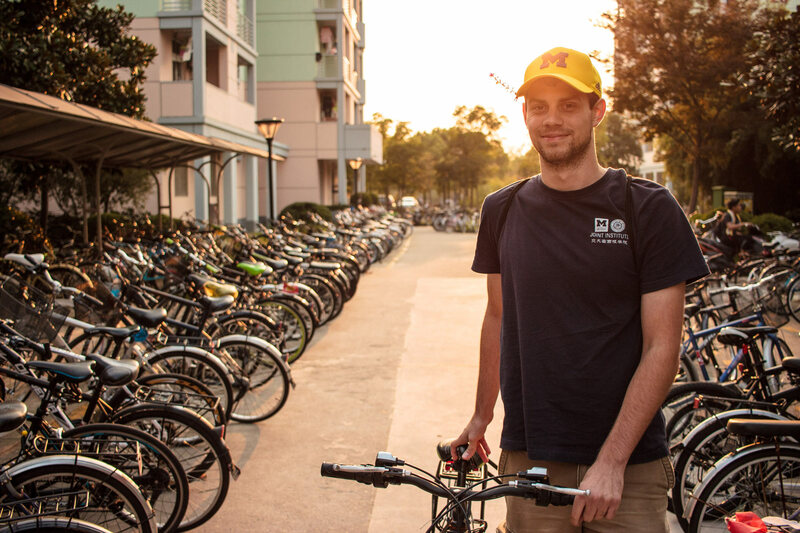 Getting around campus and reaching downtown Shanghai is easy and convenient thanks to free bus connections and the world’s fastest-growing metro system. 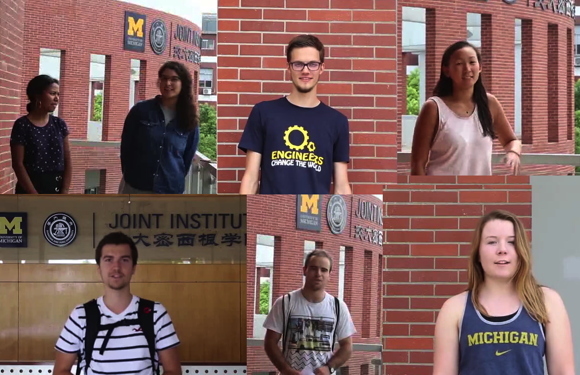 If you are a enrolled at one of JI’s partner universities, you can join an exchange program. Contact your study abroad advisor or write to Ms. Viva Du for details. You can also come to JI as a “free mover”, but you will have to pay tuition (see below). 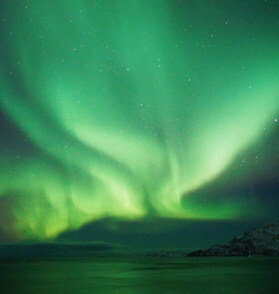 ● Tuition is waived for students from partner universities. 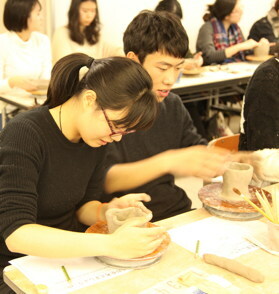 For all others, it is 2,500 RMB per course credit. ● An administrative fee of 1,000 RMB is charged to all students, covering a welcome package and participation in social events. ● Housing costs are 2,500-3,000 RMB for the whole term in double occupancy dormitories on Minhang campus. JI offers a complete, english-language engineering curricula for ME and ECE majors, including courses in the sciences and liberal arts. 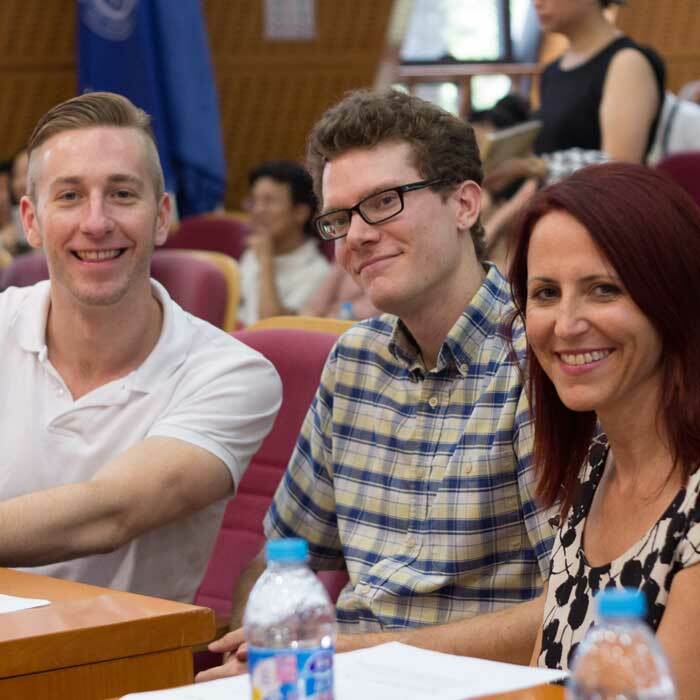 More than half of JI’s faculty comes from outside China and all faculty have advanced degrees from international institutions. "I truly enjoyed my time at the JI. I was able to practice my Chinese a little with people around the city and with Chinese students at the JI. 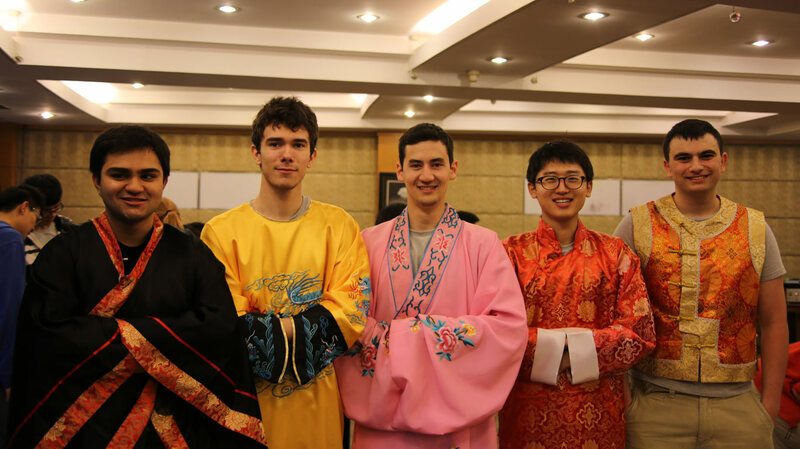 I feel that I have learned and experienced much of Chinese culture." "My time at Ji was one of those once-in-a-lifetime experiences that i would never want to miss out on in hindsight. Within just a few months I got to love China, Chinese and dumplings." 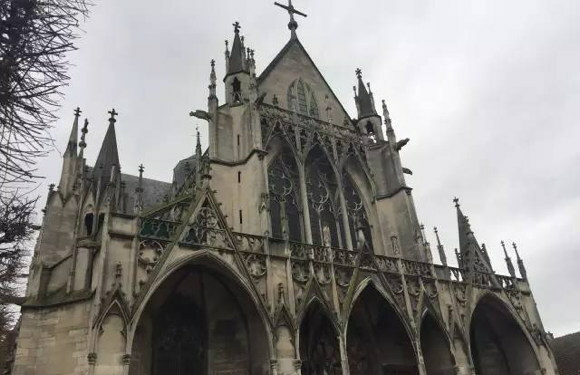 "I visited Hangzhou, Nanjing, Beijing, Suzhou and Xi’an. I really, really enjoyed Beijing and Xi’an. 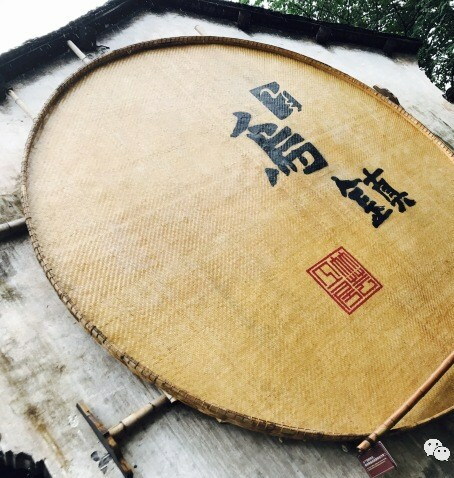 I think that traveling around China I’ve learned not only a lot about ancient and recent Chinese culture and the Chinese people, but a lot about myself." "I can handle a lot more than I thought I could and I’ve gained a new confidence about getting myself from point A to point B in once piece. The most special part of that is I’ve navigated China knowing almost no Chinese. 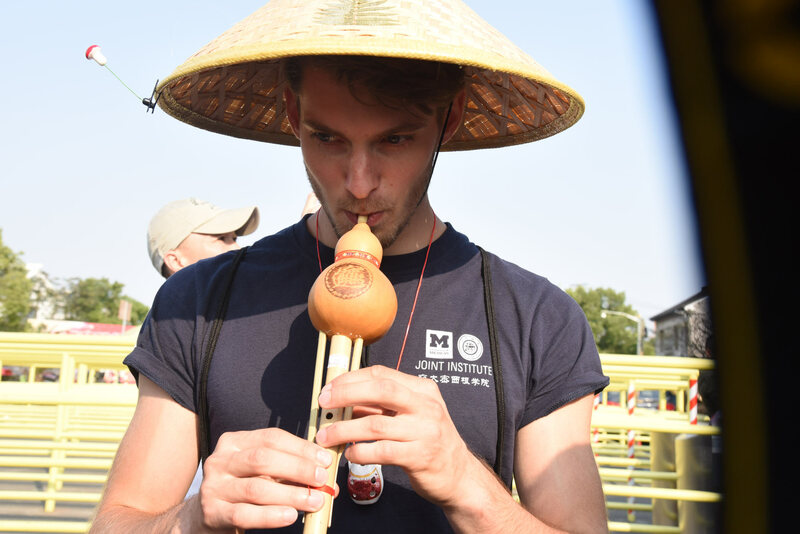 Learning about and experiencing China has just honestly been amazing." 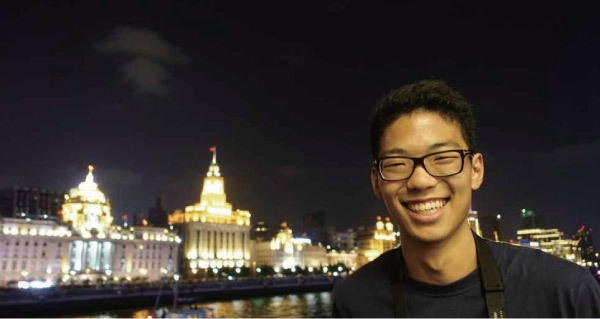 "I learned a lot about Chinese culture and got to practice and expand on my Chinese language skills. 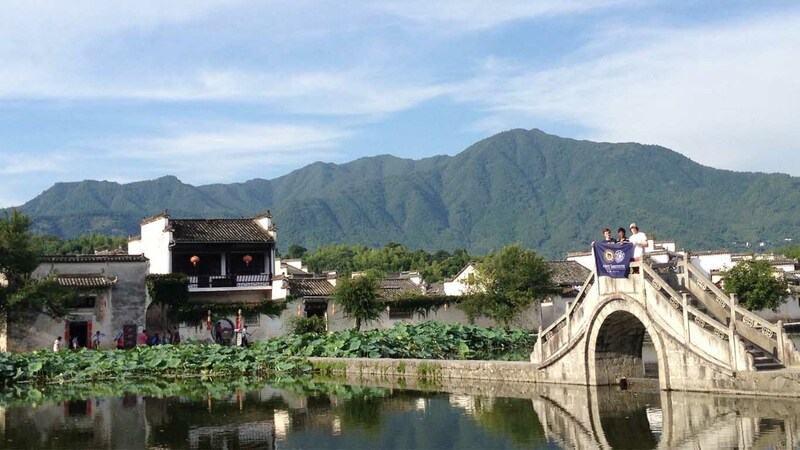 I loved traveling to the cities and mountains outside Shanghai. 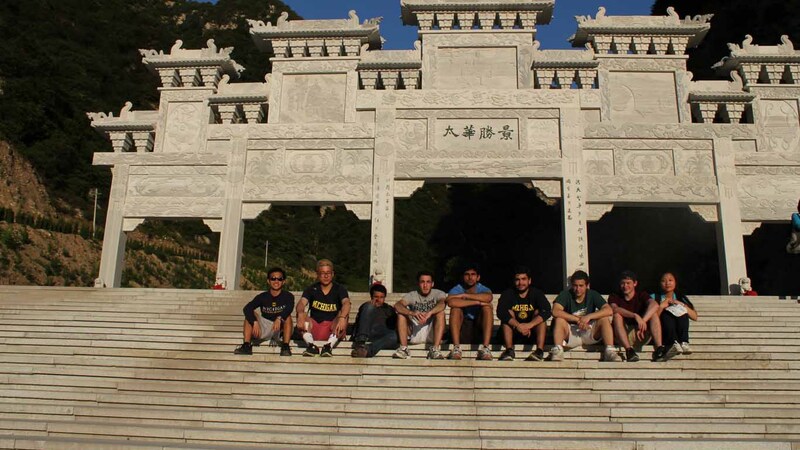 I also it was a great experience getting to know other students in JI from China."